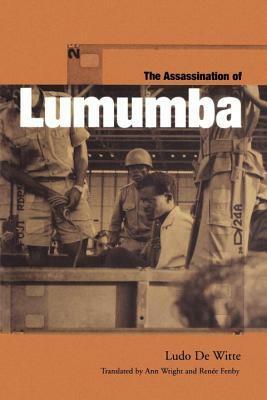 Patrice Lumumba, first prime minister of the Republic of Congo and a pioneer of African unity, was murdered on 17 January 1961. Democratically elected to lead the Mouvement National Congolais, the party he founded in 1958, Lumumba was at the centre of the country’s growing popular defiance of the colonial rule of oppression imposed by Belgium. When, in June 1960, independence was finally won, his unscheduled speech at the official ceremonies in Kinshasa received a standing ovation and made him a hero to millions. Always a threat to those who sought to maintain a covert imperialist hand over the country, however, he became within months the victim of an insidious plot and was arrested and subsequently tortured and executed. This book unravels the appalling mass of lies, hypocrisy and betrayals that have surrounded accounts of the assassination since it perpetration. Making use of a huge array of official sources as well as personal testimony from many of those in the Congo at the time, Ludo De Witte reveals a network of complicity ranging from the Belgian government to the CIA. Chilling official memos which detail ‘liquidation’ and ‘threats to national interests’ are analysed alongside macabre tales of the destruction of evidence, putting Patrice Lumumba’s personal strength and his dignified quest for African unity in stark contrast with one of the murkiest episodes in twentieth-century politics.